Mueller is a lively hub for locals and visitors, located comfortably in central east Austin, Texas. This planned community has an energetic central district with popular restaurants, family-friendly activities, shopping and more. Make time to explore East Austin&apos;s Mueller neighborhood in Austin; here are some of the top places to eat and things to do in the area. Ever had an Asian steamed bun (bao)? Give them a try at this fast, casual restaurant that serves, not only house-made bao but also, bubble tea and spicy fries. Stop by this iconic Austin pub&apos;s new sister location to enjoy an urban oasis of good beer, fine food and regular live music and event. A family owned and operated go-to spot for anyone craving southern-inspired cuisine. Whether you’re looking for a place to relax with a cappuccino or a soothing night of live jazz, this coffee house and bar is where you&apos;ll want to be. Come try farm-to-table artisanal ice cream made with local ingredients and unique flavors. Get creative with the cilantro lime or sweet persimmon! A true Italian restaurant serving up handcrafted pasta and artisanal cheeses, breads and liqueurs and a staff that strives to make their guests feel like family. Stop by this midcentury modern restaurant to enjoy locally-sourced, artesian wood-fired pizza and craft beer. Take in dinner and a show (or sing-a-long) at the Mueller location of Austin-based Alamo Drafthouse. Get your sweat on at this studio that provides a full-body workout, leaving your body and mind balanced and empowered. Walk (or jog) around this 30-acre park and experience the natural beauty; or let the kids explore the playscape while you shop the farmers market on Sundays. Stop by this local gallery to see the house collection, or visit during a quarterly art shows and the EAST and WEST Studio Tours. 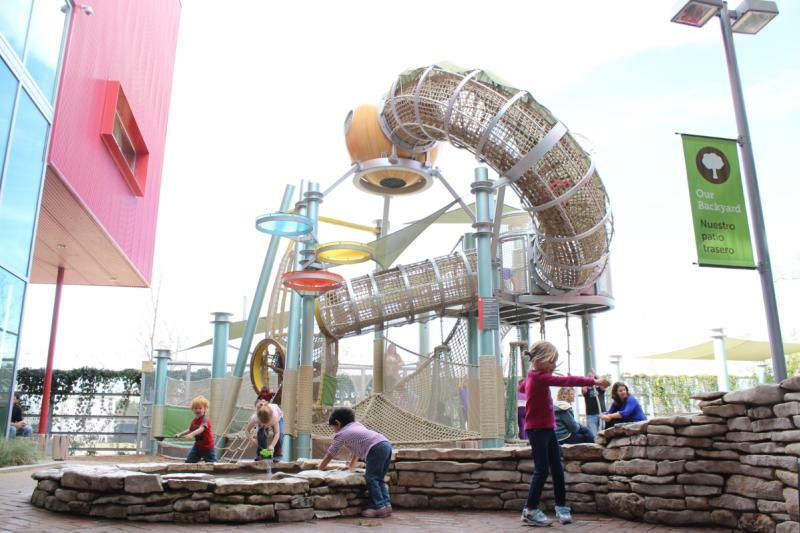 If you’re looking for something to do for whole family, check out the Thinkery, Austin&apos;s STEAM (Science, Technology, Engineering, Art, and Math) museum. Shop handmade, unique silk scarves and ties at this local boutique. One of Austin’s favorite farmers’ markets, shop and enjoy local produce, vendors, live music and free yoga every Sunday and Wednesday (seasonally). A toy mecca for any toy collector, here you’ll find not only Japanese Transformers and many imported robots but also all the latest pop culture toys. If you’re a beer fan, stop by to enjoy hand curated draft beer, tastings and events. Contributed by Rowen Gregorcyk-Landrey, Visit Austin Marketing Communications Intern.